Now, the hundreds of tweets this asshat has put out are being scrutinized. He obviously is enamored with Democratic Socialists of America. Pro Tip: Communism is a political theory penned by Karl Marx that advocates class war and a society where the lower class would revolt and take down the upper class, destroying capitalism and bringing about socioeconomic emancipation where all property is publicly owned and people are paid based on their skills and needs. Rapone tweeted: “In case there was any lingering doubt, hasta la victoria siempre,” which means “until victory, always,” and are lyrics to a song that became famous after Guevara’s death in 1967. “[Democratic Socialists of America Veterans] issued me this CIB [Combat Infantryman Badge] for satisfactory performance under hostile enemy posting online in the twitter firefight of 26JUL,” he tweeted in August, using the hash tag “Troop Left.” And he tweeted about why he joined DSA: “I joined because capitalism has basically ruined my life since I was born.” Do tell. Just wait until you experience communism for real, you idiot. 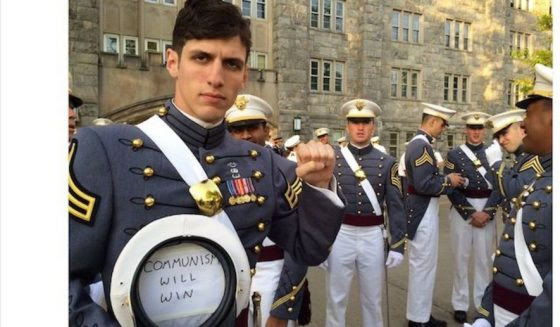 He also refers to West Point as “a bastion of reactionary politics and imperialist violence.” Doing West Point proud. 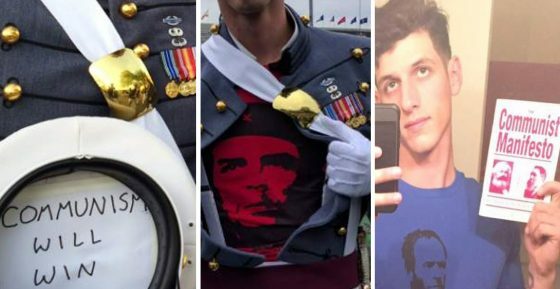 This guy is a big supporter of everything communist, Antifa and Black Lives Matter. On his Twitter profile, Rapone writes: “Troop Left, Commie/space cowboy/straight edge insomniac,” and tags the Democratic Socialists Veterans page. From a Marxist point of view, socialism is a transitional state between the lower class revolt and the overthrow of capitalism and full-blown communism. Antifa is all over Europe. They are uber-violent and proudly communist. And they are spreading here in the US along with the DSA and CPUSA. Rapone is a radical communist and a true enemy from within. He’s a danger to our military and to America in general. Let’s hope the military shows him the gate. Then he can spend all his time with Antifa until he’s taken down. Racism plays an insidious role in the daily lives of all working people of color. This is a labor issue because it is a workplace issue; it is a community issue, and unions are the community. Philando Castile was a union member, and so his family is our family. 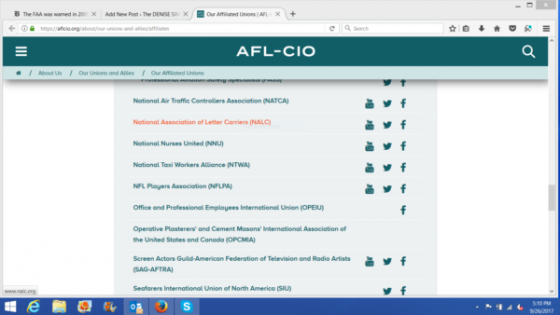 Last year the AFL-CIO launched a Commission on Racial and Economic Justice to address the issues faced by our brothers and sisters of color and to take a hard look at ourselves to ensure we practice what we preach. The Commission aimed to educate working people on the way racism weakens the collective power of all working people. It is haunting that only two years ago I delivered a speech in St. Louis in the aftermath of Mike Brown’s death denouncing systemic racism in the United States. Since then, hundreds of people have lost their lives in incidents involving police officers, and African-Americans continue to be disproportionately impacted. Labor cannot and will not sit on the sidelines when it comes to racial justice. It is not enough to simply say “Black Lives Matter.” We must and will continue to fight for reforms in policing and to address issues of racial and economic inequality. It was without much press, but after the matter of Charlottesville, many of President Trump’s advisory committees that had members from private industry and unions, disbanded. 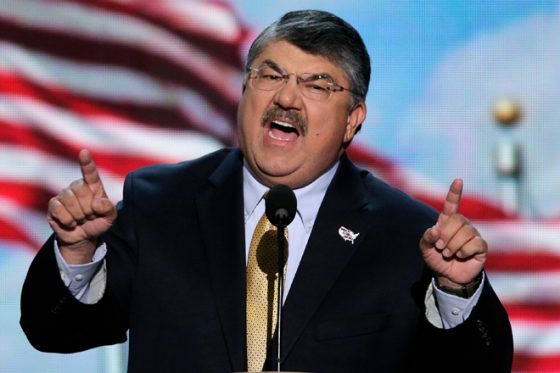 Richard Trumka was one such person just last month that quit. The president of the AFL-CIO stepped down from a council advising the White House on Tuesday, hours after President Trump reiterated that both sides were to blame for deadly violence in Charlottesville, Va., where white supremacist groups rallied over the weekend. “President Trump’s remarks today repudiate his forced remarks yesterday about the KKK and neo-Nazis,” AFL-CIO President Richard Trumka said in a statement. He announced that both he and AFL-CIO leader Thea Lee would step down from Trump’s Manufacturing Advisory Board. But Trump’s blame of the “alt-left” for charging white supremacist and neo-Nazi protesters prompted Trumka and Lee to leave the board. Trump on Tuesday warned CEOs on his several advisory panels that they could be easily replaced for expressing their political views, following the departure of three business chiefs from a manufacturing board on Monday. Four CEOs left Trump’s American Manufacturing Council following his widely criticized response to violence this weekend in Charlottesville, Va., where white nationalists and neo-Nazis held a large rally and fought with counterprotesters, leading to the death of one counterprotester. What does this have to do with the NFL? 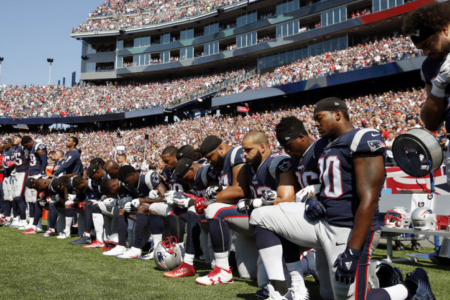 Notice below, the NFL Players Union… The head of the NFL Players Association sits on the executive council of the AFL-CIO, a labor union federation. Trumka loves the money access and it is no wonder the league and owners are capitulating with the players… they cannot afford a strike, a walk out. Despite generating more than $12 billion in annual revenue, the National Football League doesn’t have enough money to cover future retirement benefits, but the league has been working hard to close the funding gap in its pension plan which covers more than 12,000 current and former NFL players in 2016. Anymore questions? Certainly puts things in context.